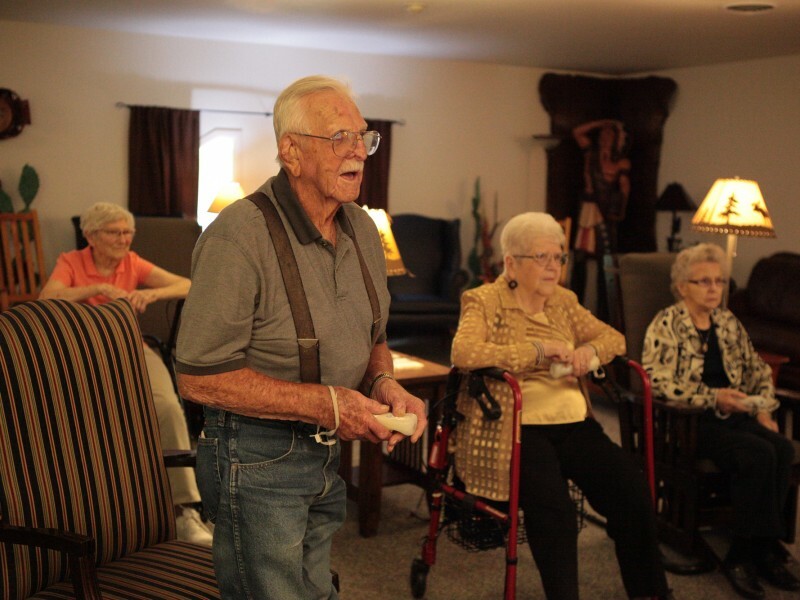 Activities are a major component of resident life at Somerset Court. Our Activities Department is staffed with experienced, energetic and exceptionally hard working individuals. Of course we have big events such as Christmas, Easter, St. Patrick's Day, Valentine's Day, Mother's and Father's Day, Thanksgiving, 4th of July and New Year's celebrations. We also offer and organize card games, puzzles, bingo, indoor golf, pool tournaments, Wii games and much more. Our facilities are designed with many themed sitting rooms and nooks where our residents can just sit, relax and visit with friends. These spaces are extensions of our resident apartments. Parties and activities are available not just for residents but also their guests. Birthday parties and anniversaries are regularly celebrated. We host monthly All City Senior Dances and bring in live entertainment for the enjoyment of our residents and their guests. School bands, orchestras and other entertainers visit regularly. 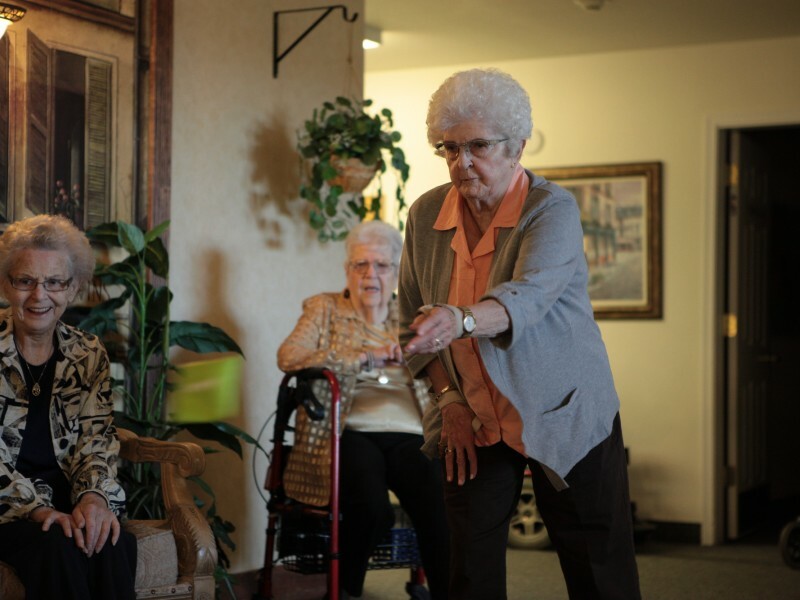 Resident's apartments are just a small part of their home at Somerset Court. Residents' homes here includes all the common areas and other amenities we offer. Want to host dinner for family or friends? The Family Dining Room is yours! How about hosting a birthday party or baby shower? - You have The Club, our beautiful Auditorium, Heritage Room, Activity Garden, and more venues to do so. Don't forget dining at Somerset Court is an activity all by itself - three times a day - EVERY DAY!